Philadelphia College of Osteopathic Medicine – D.O. 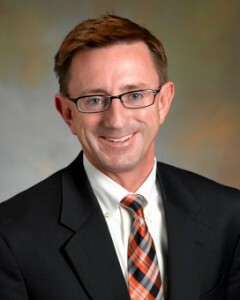 Dr. Groff is the Managing Partner of Hypertension and Kidney Specialists. Dr. Groff is passionate about teaching medical students and residents and is an adjunct faculty member at Penn State Hershey Medical Center where he continues to teach medical students. He actively participates in the LG Health educational programs. He enjoys outdoor physical fitness and continues to be an avid runner. He is especially proud of his children and looks forward to spending time with them as they achieve their academic milestones and personal goals. Dr. Groff enjoys exploring the Chesapeake Bay area, traveling with his wife to new destinations.